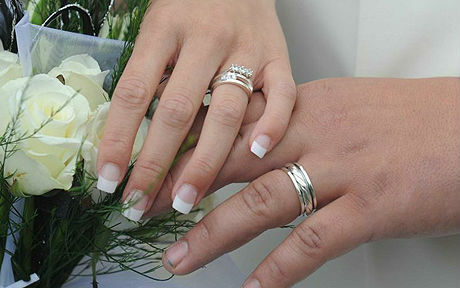 If you are interested in having your marriage ceremony at St Mary’s we’d be delighted to talk with you. 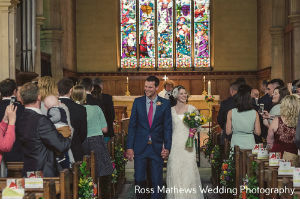 You are legally allowed to be married in this church if you regularly worship at the church or if one of you is resident in the parish (check this here). There are also a number of other 'qualifying connections' which you can check here. § Full names and address or addresses (including postcode). § Brief detail of your qualifying connection if you are not a parish resident. § Contact telephone number (and e-mail if possible). § Whether either of you has been married before. § Whether you are both UK citizens (if not, give details of your citizenship). 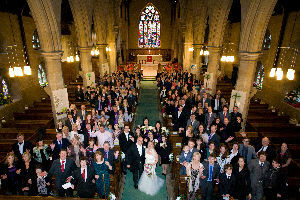 If you are not eligible to be married in this church at the moment you will probably want to approach your own parish church or one with which you have one of the qualifying connections. If however you are still keen to link with us here at St Mary’s we’d be delighted to welcome you at one of our 10am Sunday services, so that you can decide whether you would like to begin to attend regularly (you’d need to be able to attend approximately fortnightly for at least six months before the banns are read in order to meet the legal criteria). Do introduce yourself to the vicar when you come along, or let us know if you have further queries.